In the following video, from the Vayehi Or Workshop, Nigel Savage, founder of Hazon, discusses Hazon, Jews, food and Climate Change. Nigel and Hazon have been working with JCI on the Seven Year Plan for the Jewish People on Climate Change and Sustainability, and in this piece, Nigel offers some hopeful and practical tips towards how the Seven Year Plan can be most effective. Enjoy! (And feel welcome, as always, to leave your comments and feedback). Can Judaism provide a solution to global climate change? Jews have tackled many challenges over the past millennia, but none quite as titanic as this. The initiative is being spearheaded by the New York-based Jewish environmental organization, Hazon (“vision”), and the Israel-based Jewish Climate Initiative (JCI). In addition, JCI’s Rabbi Sinclair and Hazon’s Nigel Savage wrote a piece for the Jewish Chronicle: “Let’s Think Big. Shabbat can Save the Plant.” Click Here to read their article. This past Sunday, 53 of Israel’s top scientists, business people, environmentalists, policy makers, Rabbis and educators met in Jerusalem, to develop a “Seven Year Plan for the Jewish People on Climate Change and Sustainability.” The plan, commissioned by the United Nations-affiliated Alliance of Religions and Conservation (ARC), will be presented at Windsor Castle this coming November, along with like-plans from 11 other world faiths. The meeting was held this week, to honor the Birkat Hahama, the once-in-twenty-eight years Blessing of the Sun, which we said this (Wednesday) morning. Jewish Climate Initiative‘s Rabbi Julian Sinclair and Hazon‘s Nigel Savage put together the first draft of “the plan,” and Sunday’s meeting presented the first opportunity for feedback, and the furthering of ideas. Among the participants were Green Movement-Meimad’s Alon Tal, Deputy Mayor of Jerusalem, Naomi Tsur, founder of the Heschel Center for Environmental Learning and Leadership, Dr. Eilon Schwartz and Professor Pinhas Alpert, head of Tel Aviv University’s Porter School of Environmental Studies. It was a fantastic day- incredible to be in a room full of so many talented people, all who’ve accomplished so much in their respective fields. We’ll be posting some great videos of the day’s events in the near future. JCI and Hazon hope to “Kick-Off” the Seven Year Plan, at an international conference this coming Tu B’Shevat, with the help of Sunday’s guests- We’ll keep you posted on our progress! Until then, Jewish Climate Initiative and Climate of Change wish you a Pesach full of happiness, peace, family and freedom- Chag Sameach… and a happy Birkat Hahama! For us, Birkat Hahama has been a process of thinking about how we have used, and how we will use, the blessings of Creation. We hope your Birkat Hahama is/was meaningful, as well. As featured on Hazon’s The Jew and the Carrot. Rabbi Julian Sinclair is an author, educator, and economist. He is also the co-founder and Director of Education for Jewish Climate Initiative, a Jerusalem based NGO that is articulating and mobilizing a Jewish response to climate change. Before starting JCI, Julian worked as an economist advising the UK Government and for a British political think tank. Meanwhile, he authored the book Lets Schmooze: Jewish Words Today and is working on completing a Phd in the mystical thought of Rabbi Abraham Isaac Kook. Phew! Sinclair lives in Jerusalem and has been featured on NPR and interviewed for the New York Times by our own Leah Koenig. Hazon is delighted to invite Rabbi Sinclair as a presenter at this year’s Hazon Food Conference, December 25-28, 2008. Get a sneak peek at what Julian has to say below the jump. 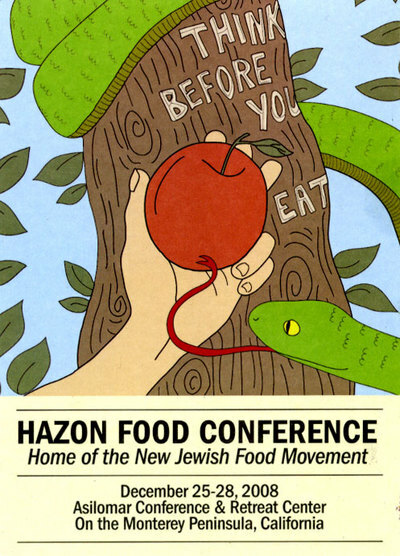 And find out more/ register for Hazon’s Food Conference, here! How did the Jewish Climate Initiative begin? RJS: It began from a conversation between Michael Kagan, a friend of mine, and a friend of his, David Miron Wapner. Michael and David both come from a business/ clean technology background. Michael is a scientist and inventor who is currently involved in an algae-for-biofuels start-up. He is also a Jewish spiritual teacher. David works on US-Israel science and technology partnerships and sits on the JNF board. They suddenly realized three things: that climate change was huge, that the response out there was nowhere near adequate, and that the Jewish people had something potentially unique to contribute. Then Michael started talking to me, I got inspired by the idea. For a long time I’ve thought that Judaism had immensely relevant wisdom to offer on environmental and economic question: Shabbat, Shemita, the detailed talmudic system of environmental law and much more. When I was working as an economist in the UK government and studying at the Kennedy School of Government at Harvard fifteen years ago, I was very, very excited about these connections. As I got more into Jewish life and learning, eventually becoming a rabbi and educator, this passion took a back seat. It just wasn’t where most of the Jewish world was at. But I always felt I would come back to it. Then when the opportunity came along to co-found JCI, I realized that this was my chance to put the pieces back together. A few months later I quit my job and started working full time for JCI. You pose this question as the basis of one of your talks: “Jews are 0.002% of the earth’s population. Even if we all trade in our SUV’s tomorrow it will barely make a dent on the problem. What then do have to contribute to the world’s most pressing moral challenge?” How does the Jewish Climate Initiative address this issue? RJS: I think that originally it was Nigel Savage‘s question. We address it by identifying three areas in which the Jewish people have contributed way out of proportion to our numbers. 1. Torah. Jewish teaching has quite simply been the basis of ethics and spirituality for the entire Western world. 2. Activism: Jews have been at the forefront of the big movements for social change (feminism, environmentalism, Civil Rights) in a way that is totally disproportionate to our numbers. 3. Science and Technology. 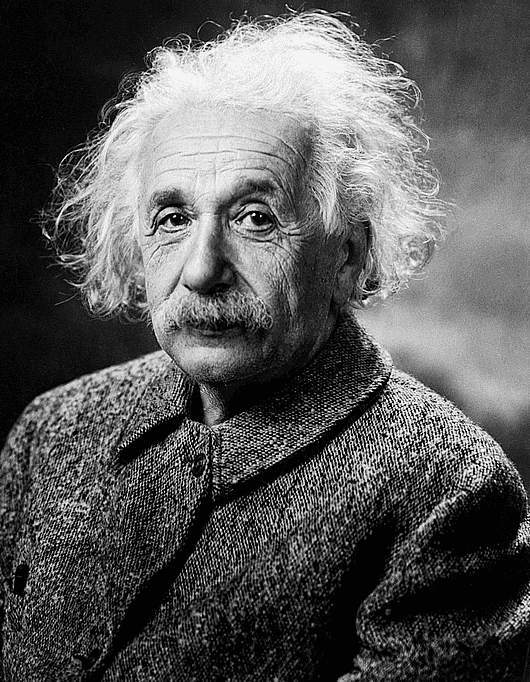 20th century science was advanced to an incredible degree by discoveries from Jewish scientists. Today that remarkable creativity is continued by the hi-tech sector in Israel, a country of six million people that is the biggest tech hub outside Silicon Valley. Each of these three interconnected areas in which the Jewish people have excelled is crucial for overcoming climate change. The section of the Jewish Climate Initiative’s website that is devoted to ethics is large. Why is ethics such a focus of the Jewish Climate Initiative? RJS: The practical answer is that this is the area in which JCI elected to begin working. The principled response is that climate change is an ethical issue. The lifestyles of those in the rich world are already contributing to famine, drought and devastating weather conditions in countries that have done least to cause the problem. If that’s not an ethical issue, what is? Certainly, the solution will require governments, laws and lots of money. But 70% of the American economy is accounted for by consumer spending. The seemingly huge problem of climate change is actually made up of billions of little decisions about the way we move around, heat and air condition our homes, and eat. Each one of those is an ethical question on which Judaism has much to teach. You spoke on NPR about the controversial Shemita year ruling in 2007. How did life change for Jews in Israel (in terms of agriculture) during this past year? RJS: It wasn’t a transformative spiritual experience for most people. At the beginning there was a round of politicking about produce certification, then Shemita receded from general consciousness. For the religious, it was one more thing to look for on food labels. Next time around, may Shemita in Israel reach its potential as a year of economic, agricultural and spiritual renewal. For that to happen, we will need to start thinking and planning now. What other issues face Israelis in particular as consumers of food? RJS: One good thing is that in a small country that grows a lot of its own food, most Israelis are locavores. We don’t eat stuff that has been trucked thousands of miles across the country like most people do in the US. How does climate change affect the sustainable agriculture movement? RJS: According to Michael Pollan and many others, the food you eat is the largest single contributor to the average American’s carbon footprint. When you factor in the fossil fuels in chemical fertilizer, the excess methane emitted by belching, farting cows that are force-fed corn and antibiotics when they were designed to eat grass, and the gas used in transportation, it amounts to a whopping 20-25% of individuals’ greenhouse gas emissions. It’s incredible that such a basic human activity as eating can be done in a way that is so destructive. Once this fact sinks in widely, and we start to see government policy that put a price on carbon emissions, sustainable agriculture should receive a huge boost. In your life, where does your role as an activist against climate change intersect with your role as a consumer of food? 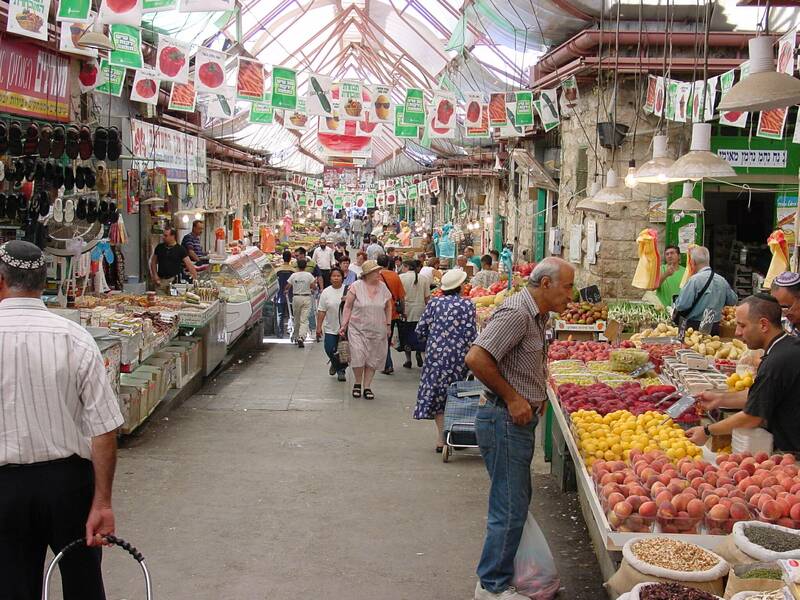 RJS: I have started shopping at the Shuk in Machane Yehuda more. The fruit and vegetables in the market just pulsate with color, freshness and health, and the packaging and transport needed to get it there and then for me to take it home is minimal—we’ve begun bringing cloth shopping bags from home. It’s not a huge step, but at least it’s something. What lessons can the sustainable foods movement learn from the climate change movement? RJS: I actually think that more lessons can be learned in the opposite direction. One thing that the climate change movement does very well is apocalyptic rhetoric. Apocalyptic rhetoric is great for getting headlines, but poor at motivating action. People just become closed down and paralyzed. Maybe the sustainable foods movement needs its “Inconvenient Truth” to bring home the scale and seriousness of the issues. But more importantly, the climate change movement needs to learn positive ways of influencing people. It’s an easy-sell to show people that local, organic food is healthier, yummier and will enhance their lives. In analogous ways, climate change activists need to make the case that simpler lifestyles with less running around, less commuting and less hassle will bring better and more fulfilled lives.